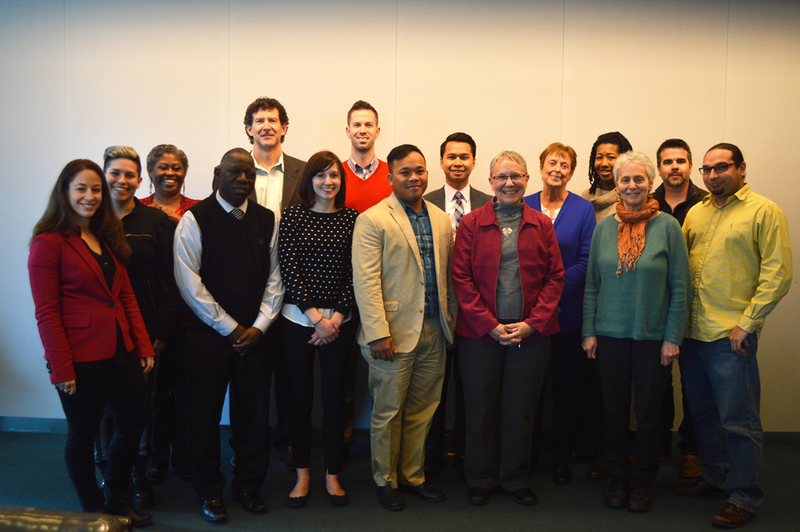 CMAA February 2016 E-Newsletter - Social Innovation Forum, Small Business Panel and More! Lura Smith Foundation Awarded us the "Living the Dream Award"
We exist to improve the quality of life for Cambodian Americans and other minorities and economically disadvantaged persons in Lowell through educational, cultural, economic and social programs. Thank you and we look forward to sharing with you more great news in 2016. 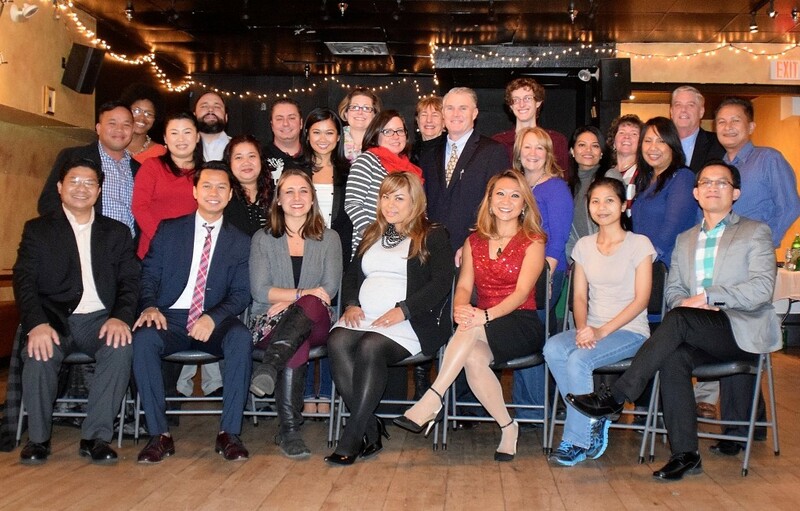 December 17 - We hosted a dinner and celebration at the Old Court in downtown Lowell for the hard work of our staff, board members and volunteers. Food from local Cambodian restaurant Heng Heng Fast Food was served and a Yankee Swap kept the evening fun. A special thanks to Dacey Zouzas for attending and highlighting this moment in the weekly Lifestyle Column and Sophan Smith for coordinating our last two annual galas. January 18 - CMAA is honored by the Lura Smith Foundation with the "Living the Dream" award. 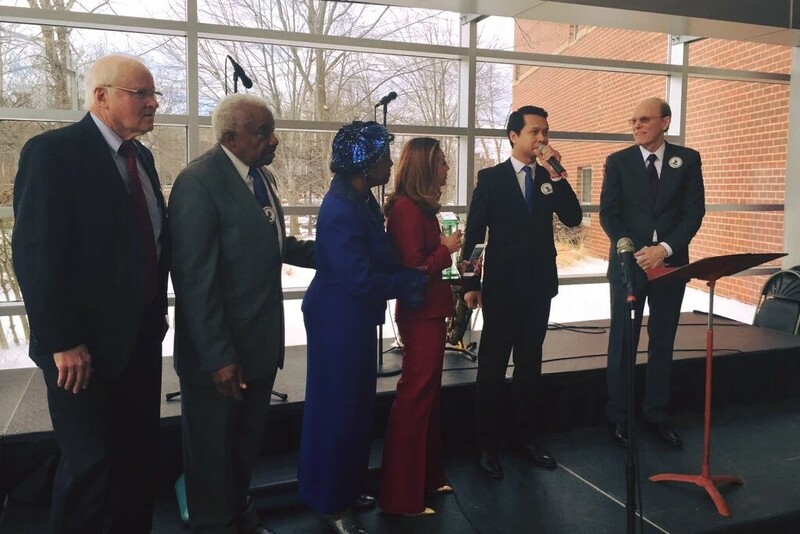 For the last 18 years, Lura Smith, Middlesex Community College and friends host an event to honor the life and work of Rev. Dr. Martin Luther King Jr. The foundation raises money to provide scholarships to deserving students and programs that provides social change. December 27 - We're excited to announce that CMAA was one of eight nonprofits selected for the 2016 Social Innovation Forum. Over the next two years, we will receive financial and capacity-building support valued at more than $135,000 to help gain visibility, expand networks, and strengthen our impact. This opportunity was made possible by the Theodore Edson Parker Foundation and Greater Lowell Community Foundation. 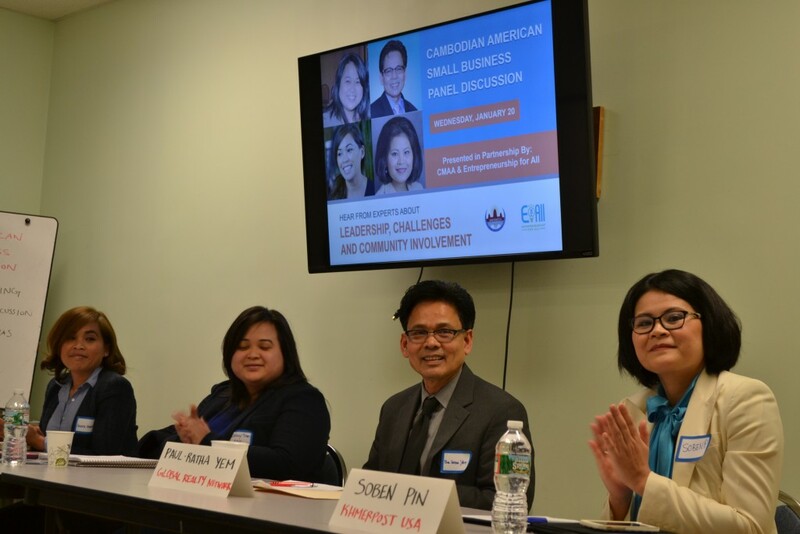 January 20 - CMAA and EforAll (Entrepreneurship for All) hosted the first Cambodian American Small Business panel discussion. Over 45 people packed the classroom space to participate in a great discussion with small business owners and nonprofit leaders. Also, community members had the opportunity to share their ideas. 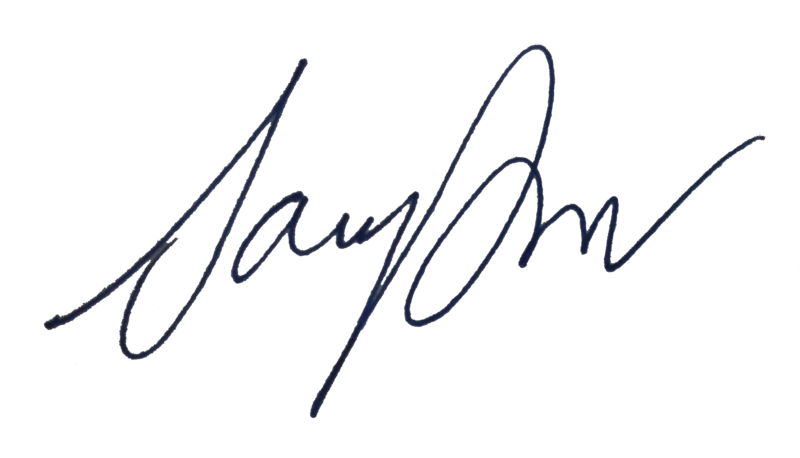 Please stay tuned for future events. 16th Annual Lowell Winterfest, February 19 & 20. Join the City of Lowell as they host the 16th annual outdoor festival. From free ice skating to the lighting up of Merrimack Canals, there's something to do for the whole family. Click for more info. All Ideas Pitch Contest - Wednesday, February 24, 6:00 pm - 8:00 pm. CMAA and Entrepreneurship for All (EforAll) will be hosting an all ideas pitch contest at Sunny Da, a local Cambodian restaurant. Qualified applicants will receive the opportunity to pitch their idea in front of a panel of judges for a chance to win money! Click for more info. First Time Home Buyer Training, Saturday, April 2 & 9. CMAA and Merrimack Valley Housing Partnership will be hosting a workshop for first time home buyers. 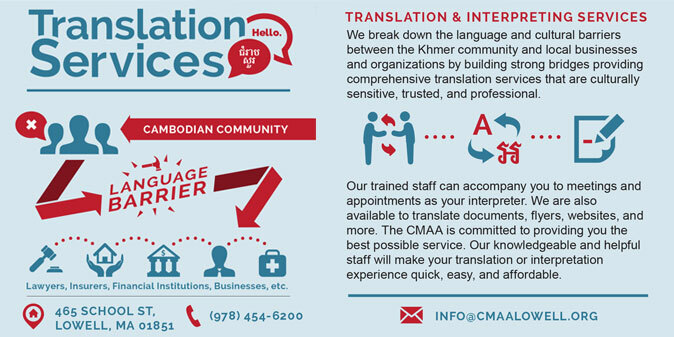 Classes are taught in both English and Khmer. Registration fee $100 per family. Click for more info. Building Bridges: Celebrating the Legacy and Vision of Dorcas Grigg-Saito, Thursday, April 7. Join Lowell Community Health Center and friends to honor and celebrate Dorcas's retirement at the Lowell Memorial Auditorium. For ticket and sponsorship info, contact Clare, 978.746.7891 or claregu@lcheatlh.org. Cambodian New Year at Lowell Senior Center, Saturday, April 9. 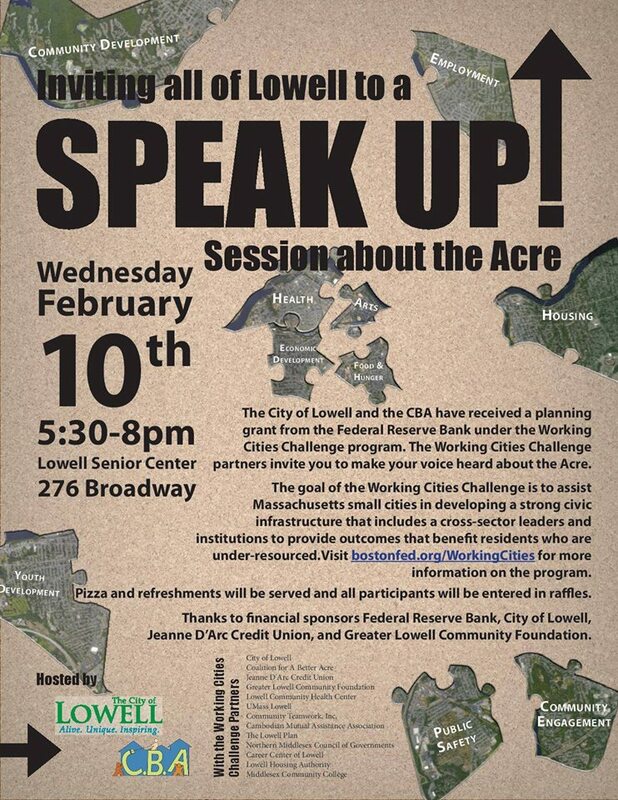 CMAA, Coalition for a Better Acre, Lowell Community Health Center, Lowell Police Department and many other organizations are hosting the annual new year celebration. More information will be available soon. Cambodian New Year at Roberto Clemente Park, Saturday, April 23. Clemente Park Committee and Cambodia Town are hosting an outside new year celebration. More information will be available soon. Merrimack Valley Housing Partnership 30th Annual Meeting, Thursday, May 12. Join MVHP as they celebrate their 30 years of home ownership resources to our community. Event will take place at the Whister House Museum. Click Here to visit our program and event calendar! CMAA Radio Show via WUML 91.5 is held weekly on Friday at 11:00 AM.